Passionate about creating compelling content for all your real estate and property requirements. Attention builders, developers and investors: the opportunity you have been waiting for to purchase in the well-established enclave of Mermaid Waters has arrived. Nestled in a quiet street, and offering an expansive 754sqm of land, with 15m of canal water frontage this is your chance to build your dream bespoke residence on a prime piece of Mermaid Waters real estate. 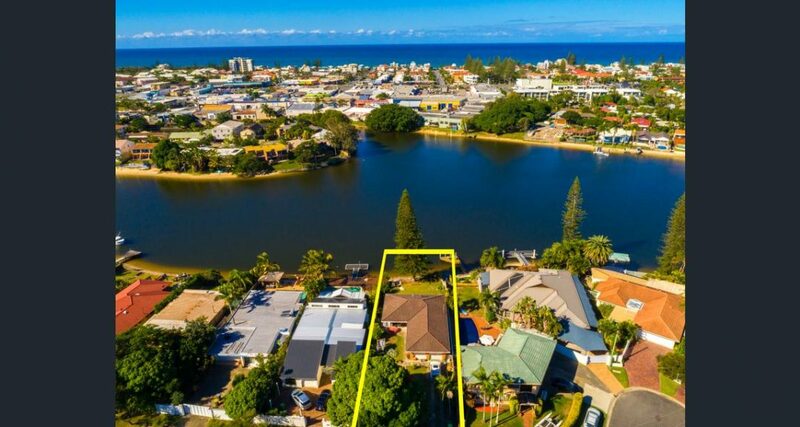 With its pleasant north easterly aspect, own private sandy beach, tranquil location and views to the iconic Broadbeach from your backyard, the possibilities are endless just how you can capitalise on this superb outlook and locale. Maximise the skyline vista with a luxury two-storey home, and make the most of the year-round balmy Gold Coast climate and create a dream alfresco area, complete with a custom infinity edge pool, spa and outdoor kitchen. There’s even room for your own personal pontoon, room to park your boat, which you’ll relish using as you explore the meandering canals of Mermaid Waters. Centrally located only moments from the refurbished world class shopping and dining precinct, Pacific Fair, as well as close to Jupiters Casino, the Gold Coast Exhibition Centre, schools, medical facilities and the famous beaches of the Gold Coast, this parcel of land occupies a prime position and represents unlimited potential. Do not miss your chance to secure this rare Mermaid Waters opportunity to create your own dream home in an unbeatable location. Disclaimer: This property is being sold by auction or without a price and therefore a price guide cannot be provided. The website may have filtered the property into a price bracket for website functionality purposes.